As an early leader in the sports diversity movement, Compete Magazine gives out High Fives each month to deserving athletes, teams, leagues, organizations and corporations as well as high profile celebrities for their contributions to promote diversity, inclusion, equality and acceptance for all. Here are five who get a High Five for a job well done! For having the courage to come out as gay, making him now the only openly LGBTQ athlete in U.S. professional team sports. “Tonight my team, Minnesota United, is having their Pride night. It’s an important night for me – I’ll be announcing for the first time publicly that I am an openly gay player in Major League Soccer. I have been out as a gay man for many years to my family and friends, and this includes my teammates. I have played Major League Soccer for 6 seasons: 4 seasons with DC United and 2 seasons with Minnesota United. 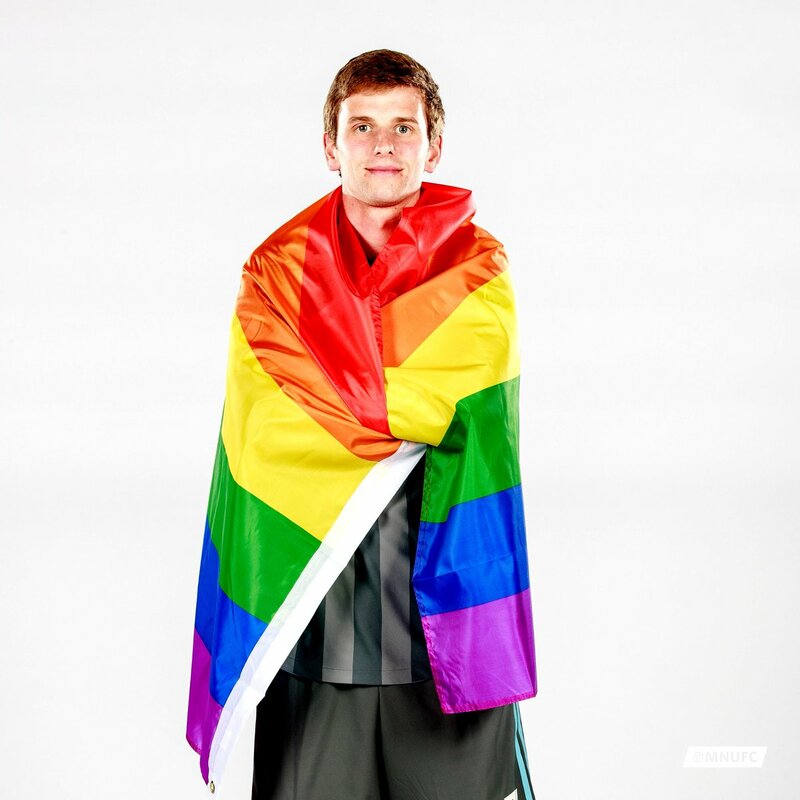 Today, I’m proud that my entire team and the management of Minnesota United know that I am gay. I have received only kindness and acceptance from everyone in Major League Soccer and that has made the decision to come out publicly that much easier. For being selected to serve on Connect Sports’ Marketplace Advisory Board. For hosting NAGAAA’s Gay Softball World Series 2019 in Kansas City, Missouri. Join the Come to Play team headed by Scott Switzer, executive director and director of FUNdraising/special events, Terri Goddard. For holding its 38th NVWG in Orlando. The largest annual wheelchair sports competition of its kind in the world, more than 750 athletes are expected to participate in a full menu of adaptive sports.